Anyone that knows me will tell you that there is nothing that I love more than travelling to new places around the world. Although I have been lucky enough to travel to quite a few places around Europe, I have only in the past few years started planning trips further afield and now I have seriously caught the bug! Now don’t get me wrong, I am definitely not the leave everything behind and take off with just a backpack kind of girl so my travelling is made up of shorter trips that I pack between my job, family, normal life etc! To make sure that I really get the most out of a place in the time that I spend there, I have a few handy tips that I try and stick too. When you only have a few days or weeks in a place, I think it’s loads more important to plan the things you want to do while you are there than it is if you are going to be travelling round for a few months. So here is my top tips for making the most out of your next trip – bon voyage! Before you go anywhere, I think it is definitely worth taking the time to really research the place. You can find so many things that you might want to do while you are there just by looking on blogs and reading guidebooks. Trip advisor is always the go to site for reviews but other gems I have found are the Eyewitness Travel Books which give a whole host of information on attractions, culture, cuisine and language! Make yourself a rough list of the things you would like to see and do, but don’t go crazy and plan too strict an itinerary – sometimes the spontaneous things are the best! When Will and I were in Paris, we ended up eating at a restaurant with the most insane view of the eiffel tower from our table and it was completely by chance! Get a good balance of planned fun things to look forward to whilst also leaving yourself time to discover new things while you’re over there. There are lots of boring things you need to buy for travelling like insurance, currency, toiletries etc. Leave yourself enough time to shop around and make sure you are getting the best deals. Online sites like Money Supermarket work like a dream to help you make sure you are getting the right deal for you and that’s the kind of shopping around you can do in bed with a sugary cup of tea! Although travelling is super exciting the actual getting to and from places can also be really boring! Fill your iPhone, Kindle or iPad with loads of books, games and films to keep yourself entertained. 4oD and BBC iPlayer both allow you to download and store TV shows on your iPad so you can watch them without internet connection – perfect for the plane. In the couple of days before you go make sure you print and organise all the documents you are going to need while you are away. Get a folder or a document holder and section it into tickets, hotel vouchers, excursions, passport etc. That way you won’t have any airport freak outs because you can’t find the ticket for your flight that is taking off in ten minutes! 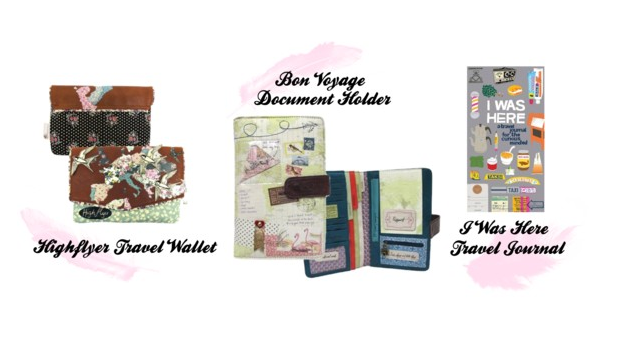 Disaster designs do a beautiful range of travel accessories and I have the Ditsy High Flyer Travel Wallet and the Bon Voyage Document Holder, both available from Mollie & Fred, to keep all my bits and pieces together. I hadn’t really considered buying a travel journal, however my brother and his wife brought me one last Christmas and I absolutely love it! It is the I Was Here Travel Journal from Chronicle Books and it is filled with loads of quirky tips of what to document and photograph while you are away to really get a sense of the place you are in such as local road signs or weekly papers. It also has room for notes and lists to help you get the most out of travelling both before you go and when you come back and tons of helpful info like plug shapes and tea traditions around the world! 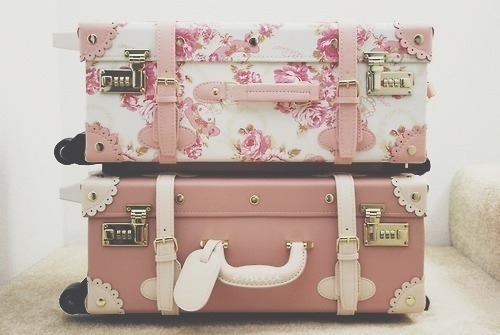 Have you guys got any good tips for travelling? Where’s next on your wanderlust list?